The finely grained timber from the tree also known as the “Tree of Eternity”, offers rich, consistent wood characteristics and unparalleled resilience. It also captures more carbon compared to other trees, and regenerates from the stump to be ready for harvest in 7-8 years. Woodlore®’ss patented polypropylene coating creates a durable and robust surface that resists cracking or chipping. Polypropylene is widely used in automobile exteriors, appliances and helmets. Selected for its distinctive grain, resilience and sustainable characteristics, the materials in Normandy® Hardwood Blinds are a portrait of not only enduring, but also responsible luxury. 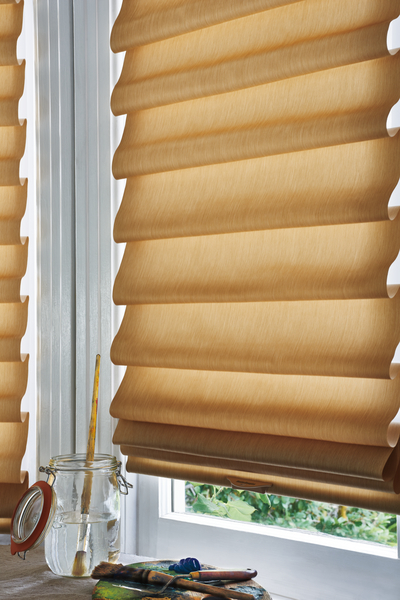 Put Norman® technology to work with Performance™ Faux Wood Blinds designed to be a Cinch to operate and withstand the elements, including light heat, moisture, and salty air. 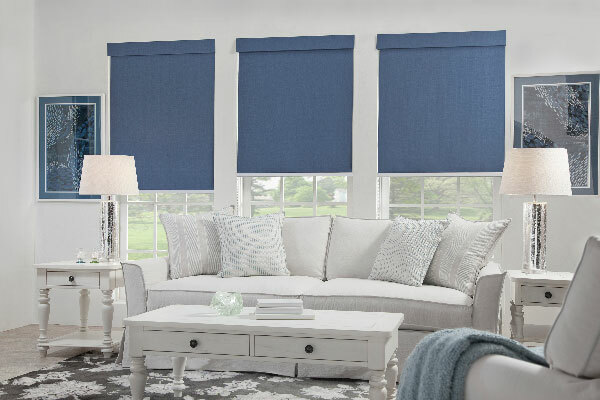 With rich materials, and even richer history, Portrait™ Honeycomb Shades feature award-winning designs, exclusive options, and industry leading construction – for no matter what the elements have in store. 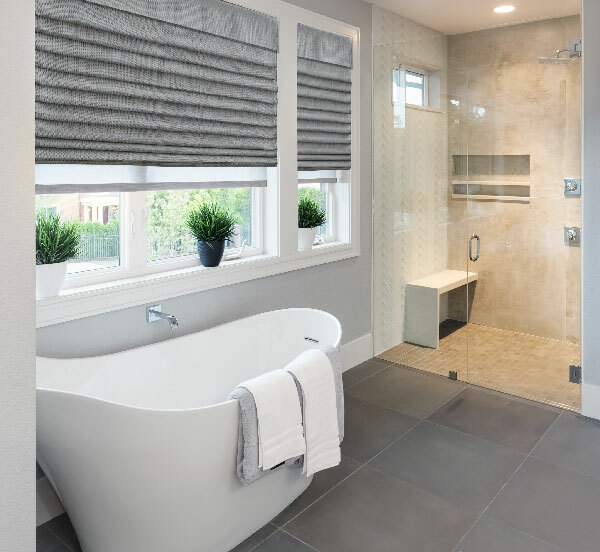 Norman®’s award-winning roman shade delivers modern elegance with exclusive technology and Norman® craftsmanship. 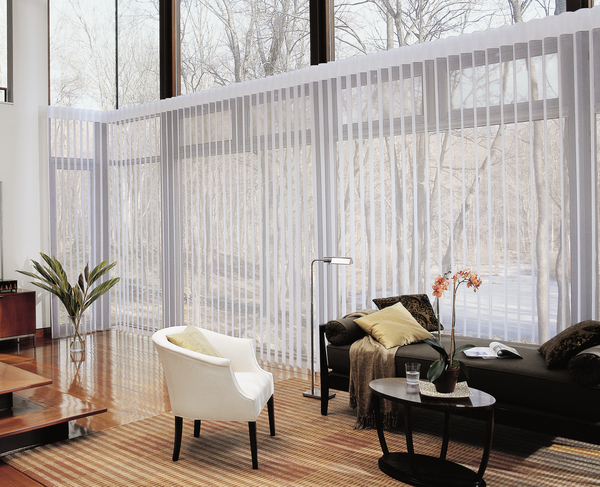 Choose from hundreds of luxury fabrics – textured transparent, semi-transparent to opaque. Award-winning technology. 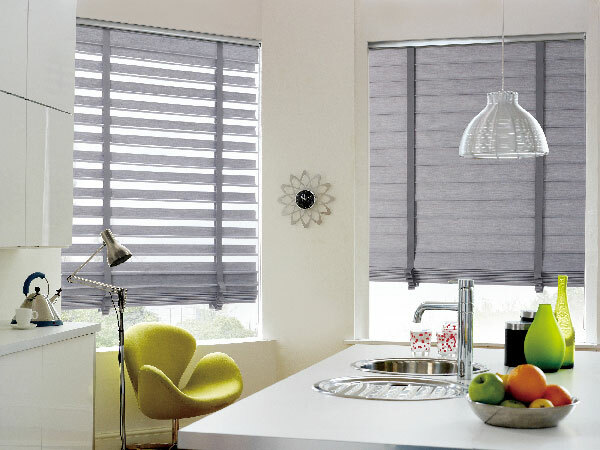 The latest fabrics from sheer, light filtering, room darkening, to solar screen. Designer patterns, natural materials and textures. Energy efficient and fire-retardant options. Soluna ™is geared for the brightest days and the most relaxing nights. Ready for your personalized touch. 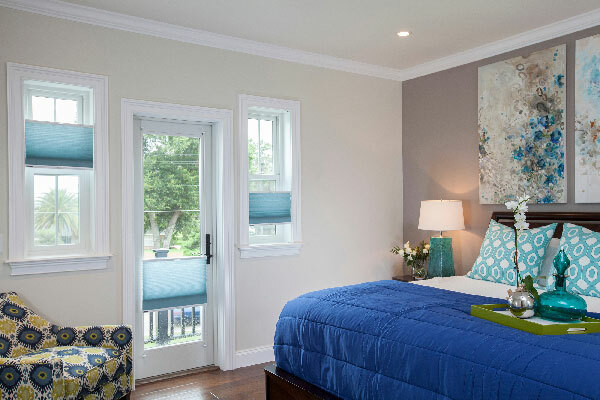 Roman Shades with a twist. 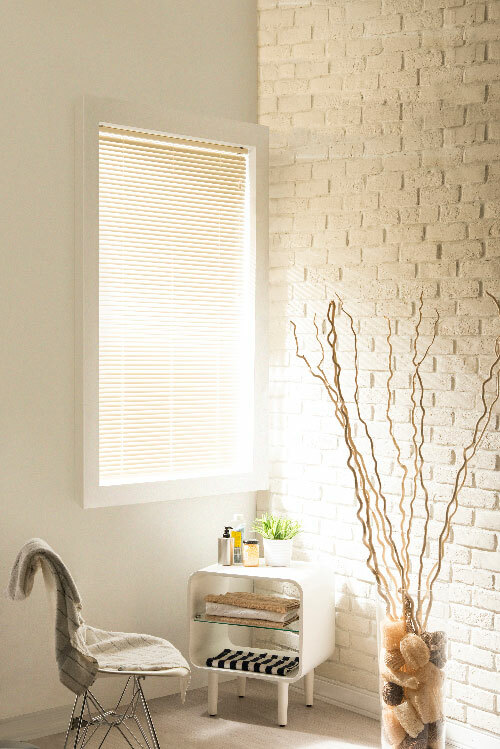 Featuring cascading effects like a roman shade when closed, combined with the versatility of a blind. 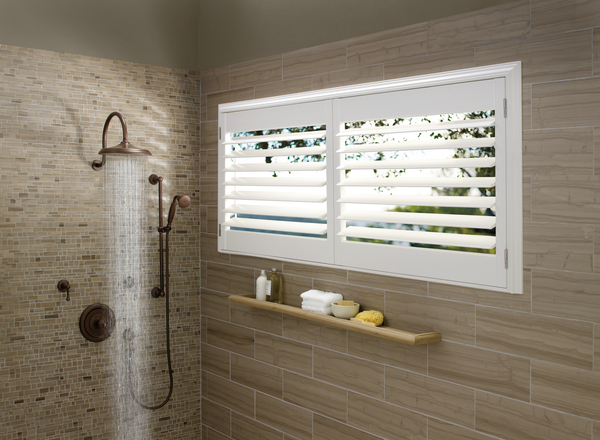 The dual-action lift or roll-up technology offers new ways to experience privacy/light control, open views, and a gorgeous roman silhouette. 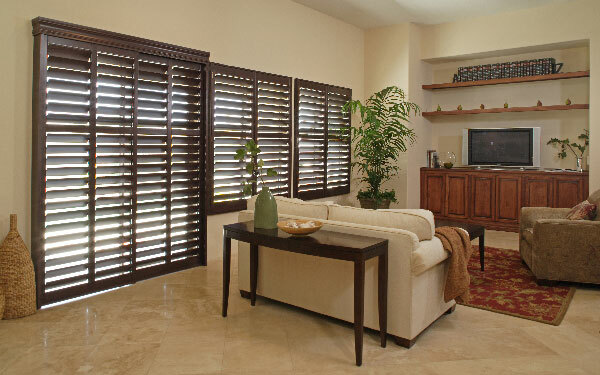 NewStyle® Hybrid Shutters are plantation-style shutters that blend the beauty of real wood and advanced modern-day materials to create a stunning and durable window covering for any room. 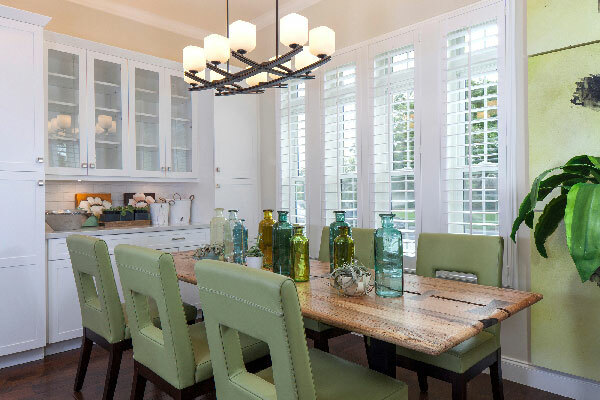 Palm Beach™ Polysatin™ shutters are plantation-style shutters constructed with UV resistant Polysatin™ compound, so they’re guaranteed never to warp, crack, fade, chip, peel or discolor, regardless of extreme heat or moisture. 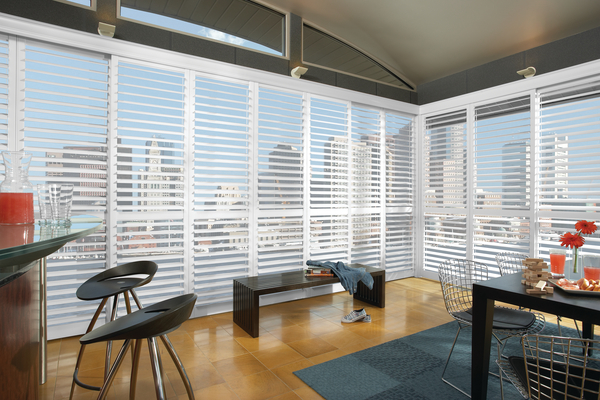 Pirouette shadings feature softly contoured fabric vanes that magically open and close to give you complete control over your desired degree of light filtration and privacy. Revolutionary Invisi-Lift™ system allows the vanes to float gracefully on a single sheer backing. 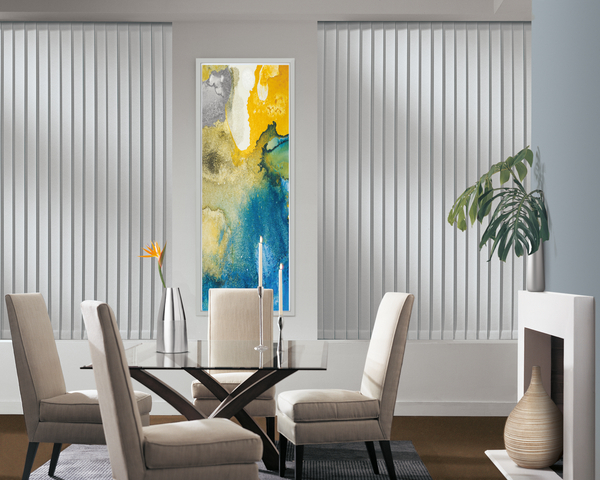 Somner® Custom Vertical Blinds offer the largest selection of colors, treatments and textures, from smooth metal finishes to geometric patterns—in fabric, vinyl and aluminum. 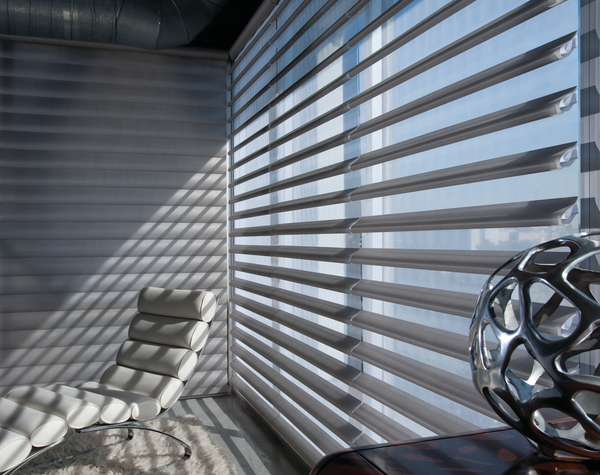 Silhouette® Window Shadings have been the leader in light diffusion with specially crafted fabrics that transform harsh sunlight into beautiful ambient light. 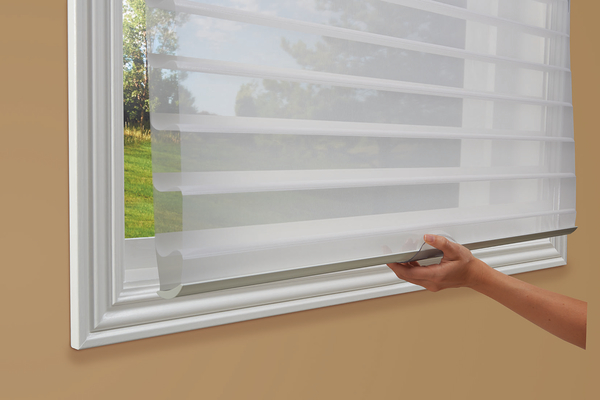 With no cords or tapes, the sheer facings allow you to view through the vanes to the outside, while maintaining a discreet level of privacy. 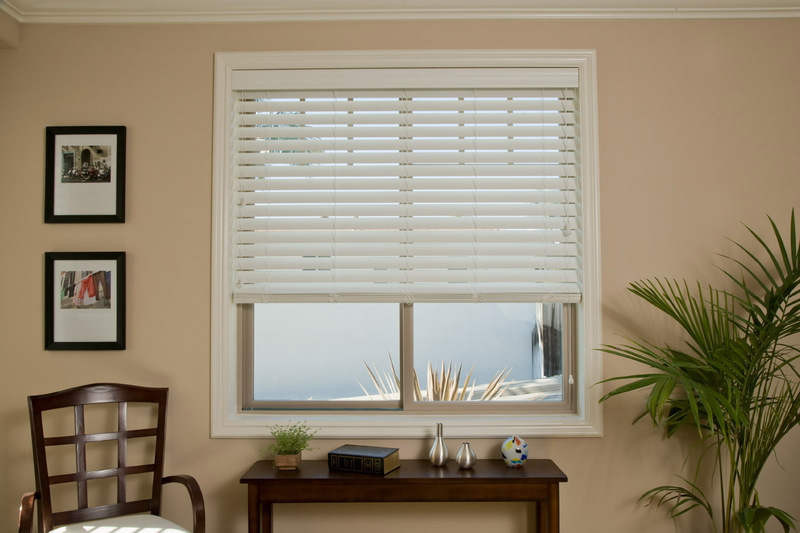 Motorization can be incorporated into almost any window treatment. 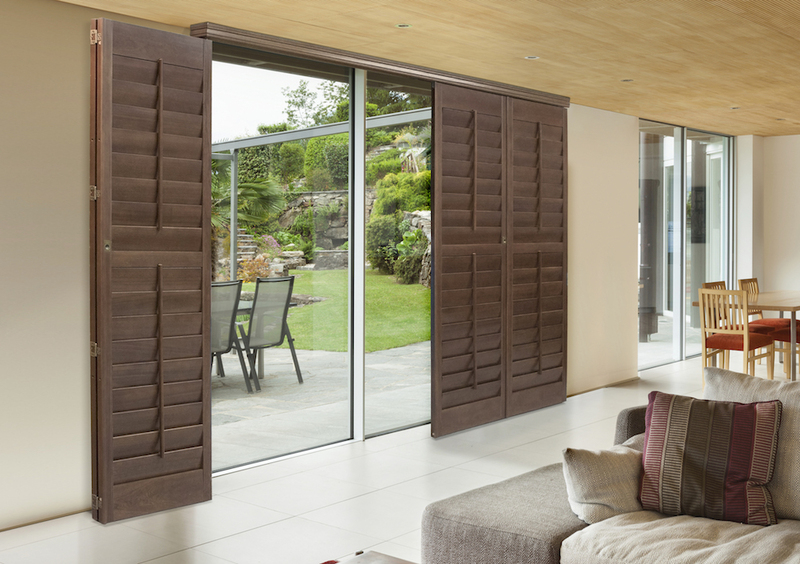 Our hardwood shutters are built using SmartWood, wood that comes from managed forests. They are some of the best managed timber in America and the world. 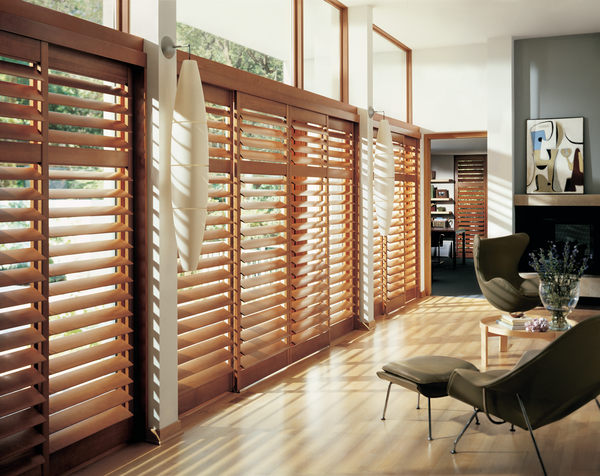 Composite Shutters come from using recycled wood products and merging them with man made materials, virtually eliminating waste.